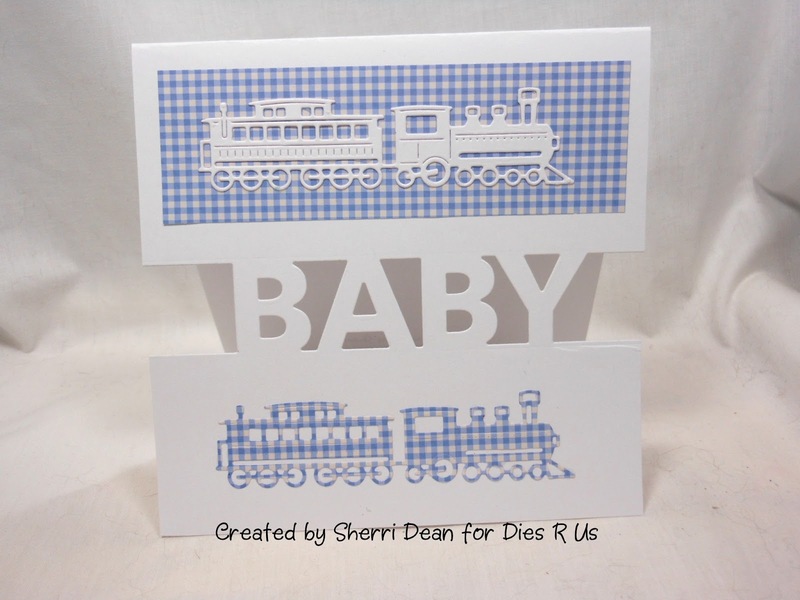 Dies R Us: Play Time! It's play time today! Have you ever gotten a new die & spent the afternoon happily trying out all the different ways you could use it? Yup! That's exactly what happened when I got Taylored Expressions Block Party-Baby the other day. I knew I could move the die around to different areas on my card so I started with this one first. 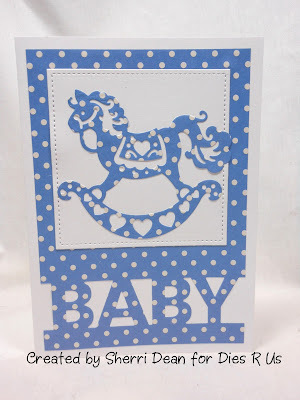 I added the darling Di-Namites Rocking Horse on a Lawn Fawn Large Stitched Square Stackable and loved the effect. 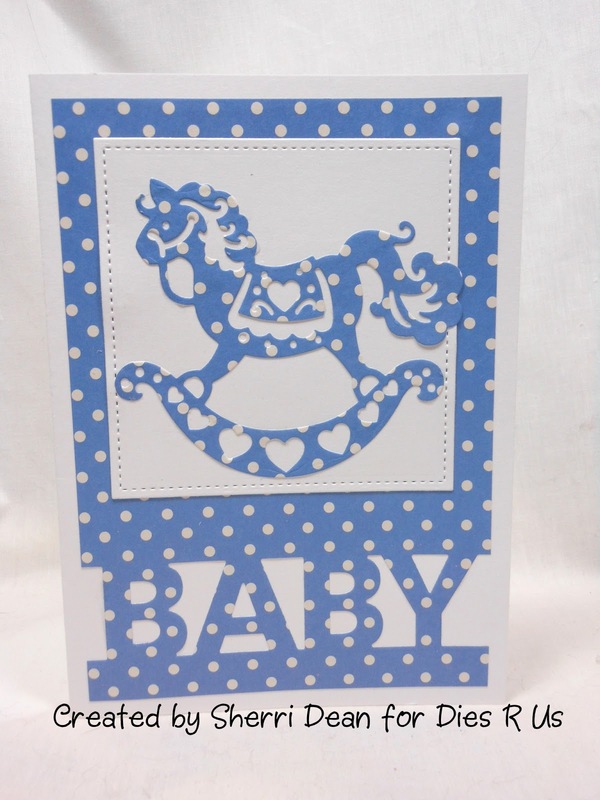 The rocking horse is out of stock at present, but you could substitute any number of other dies for it. That got me wondering what it would look like if I moved the die to the bottom of the card & cut it completely through the entire card. Add a pink oval cut with Spellbinders Oval Bliss and a darling Tattered Lace Elephant and you have the next card! And finally, I moved the die to the middle of my card for yet another look. 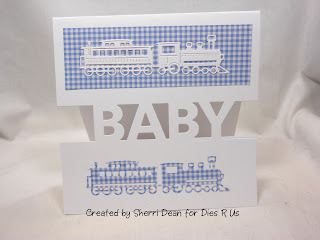 A couple of Cheery Lynn Choo Choo dies and another whole look! These too are out of stock at present, but I'm sure they will be back soon. Don't be afraid to "play" with your dies when you get them! Sometimes you create the most amazing things when you do! 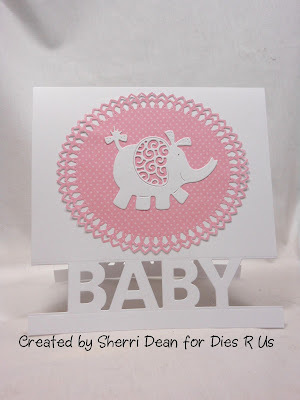 Hop on over to the Dies R Us Challenge Blog & join in on all the fun! A new challenge just started yesterday & you could be the winner of a gift voucher to the amazing store! See you next week with a Halloween card! Until then, happy play time!